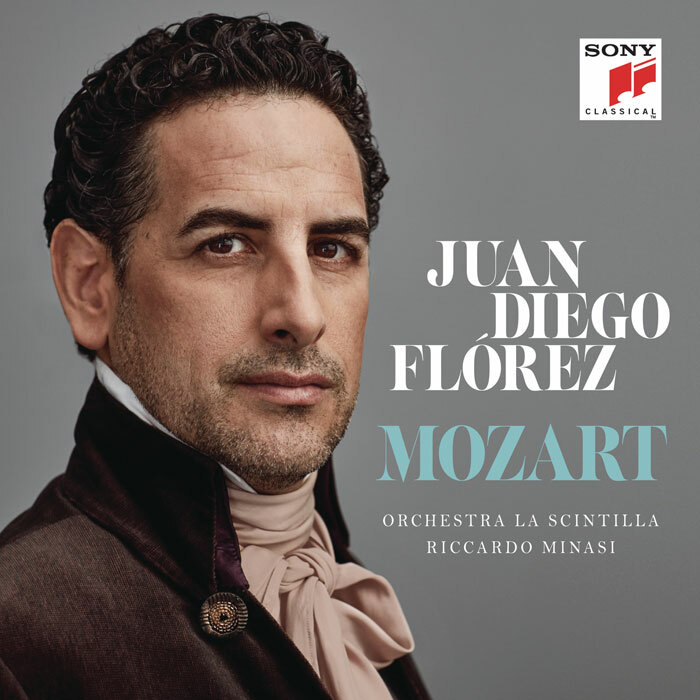 Juan Diego Flórez’s last operatic album, ‘L’Amour’ (Decca, 6/14), took him forwards in time from his bel canto basecamp into the realms of Romantic French repertoire. His newest disc, the first fruit of his collaboration with Sony, takes him back to the Classical era. Technically things are extremely tidy, as one would expect, and there’s never any danger of the tenor being taxed by the notes themselves. At the same time, however, there’s not really much sense of this singer being immersed in Mozartian style, even if the booklet takes pains to inform us of his long history with the composer. The voice itself – focused and secure, but now often also rather unvaried of timbre and tense – offers only the most fleeting glimpse of the sort of easy lyricism and limpidity we expect in this repertoire. The impression is only emphasised by engineering that places the tenor, a little fuzzily captured, close-up in his own acoustic bubble at the centre of the sound picture. There’s little air around the voice, and it makes for tiring listening. As often with Flórez, things are most engaging when he allows himself to relax, as he does in eloquent accounts here of Don Ottavio’s and Tito’s arias. I enjoyed the robust performance of the early aria from Il re pastore too, but I’m not convinced by the jarring excursion into the Rossinian stratosphere in the interpolated cadenza; a top D here and in a forthright ‘Fuor del mar’ and the top C squeezed into ‘Il mio tesoro’ detract from some otherwise sensitive, discreet ornamentation. The two German arias are spared such excesses but Flórez never sounds idiomatic, either in the language or in the relaxed nobility of the music. The highlight is perhaps the terrific concert aria that concludes the disc, performed with a welcome sense of expansiveness. But while it’s certainly a performance preferable to Rolando Villázon’s effortful recent take on the piece, it’s no match, to my mind, for such stylish Mozartians as Gösta Winbergh or Christoph Prégardien. Orchestra La Scintilla, a period band playing at modern pitch, offer lively, airy accompaniments throughout, but Riccardo Minasi tends towards a slight impatience and punchy attack in his conducting. The booklet is big on enthusiasm but offers little on the works themselves or the general approach, and the disc as a whole seems only to offer an imperfect picture of what Flórez could – and arguably should – offer in this repertoire.